Persistence and determination are characteristics that guarantee success in any company. Read the latest product updates, information and company news from URSAPHARM Arzneimittel GmbH or find out about the most recent research findings. We will always keep you up to date on innovations and developments in the company. On the occasion of the press conference in Munich on 16-08-2017 the URSAPHARM company proclaimed the new “golden” partnership with the FC Bayern München. Besides the managing director and shareholder Dominik Holzer and the executive director of sales and marketing Christian Krensel the managing directors of the FC Bayern München, M. Karl-Heinz Rummenigge and M. Andreas Jung answered to the questions of the numerous representatives of the media. 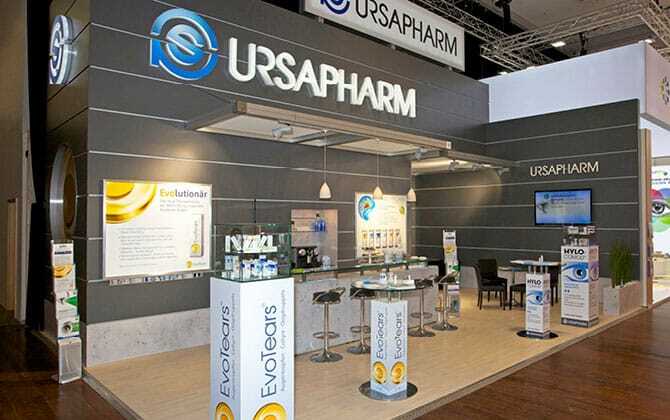 On 13-03-2017, at the beginning of this year’s ophthalmological specialist conference AAD in Düsseldorf, the URSAPHARM company presented exclusively the “Eye-Explorer Virtual Reality” App for the first time.